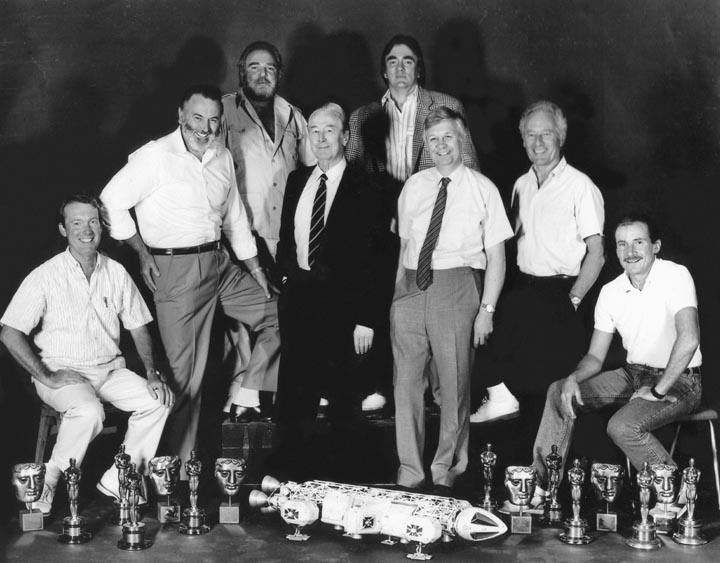 Pinewood SFX Oscar winners left to right: George Gibbs, John Stears, Kit West, Charles Staffel, Brian Johnson, Roy Field, Derek Meddings, Richard Conway. 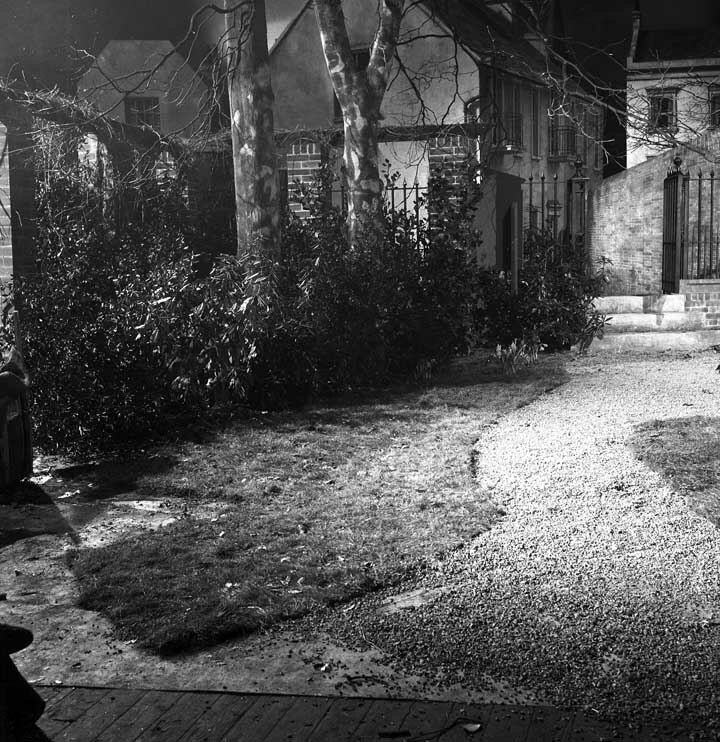 Some time ago Peter Tyler came across a box of Black and White large format negatives from Charlie Staffel's old workshop at Pinewood, they seemed to be continuity stills from a large number of films made there. Charles Staffel (above center) was involved with process photography including back projection and front projection. His career spanned a good portion of the history of Pinewood Studios and and it seemed that he had accumulated also stills of most of the set designs and props needed for the productions he worked on. I have no reasoning for this but these stills provide a valuable insight into the history of set design and construction of the early years of the Studios. The box contained brown envelopes with the negatives stored inside their individual waxed paper sleeves (standard practice even today). 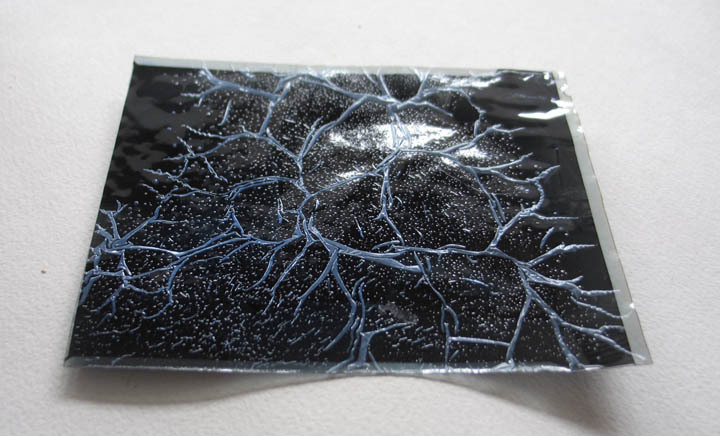 The problem was that the environment must have been damp for a good portion of their storage and the gum used in the waxed paper sleeves seems to have reacted with the celluloid and emulsion resulting in the bonding of the paper to the negatives that eventually distorted the celluloid structure. Peter tells me that after Charlie's death the workshop remained empty for a few years, during this period the sprinkler system went off and drenched the whole of the camera equipment and photographic collection that was stored there. The equipment had rusted beyond repair and of course a lot of Charlie's negatives were damaged. Apparently this box of negatives remained in the loft space above the sprinkler system and survived the drenching, but the dampness must have made a difference to their condition. Many thanks to Peter Tyler for helping to save a small portion of film history. 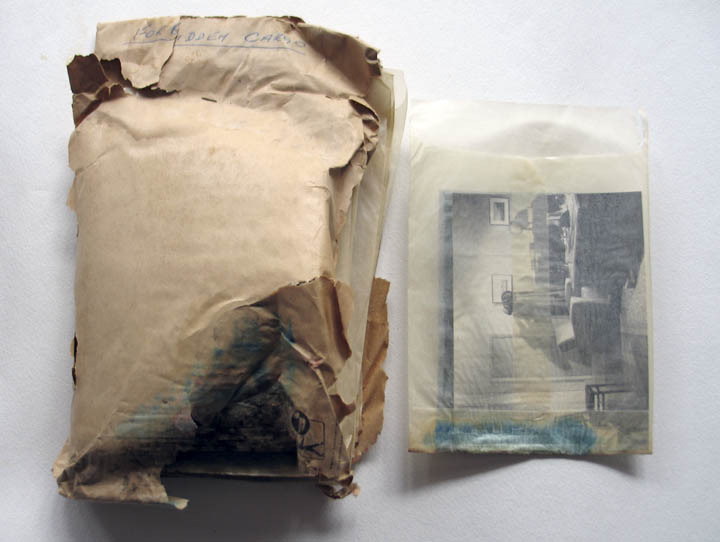 Below is an example of a brown envelope that has been affected from this collection. Having said that, other negatives are near perfect considering the damage and depending on whether they were fixed properly during the developing process (there was a strong smell of Acetic Acid from this collection) and also which type of film was used seem to all contribute to the state of their condition. As in the example above, most of the damage comes from the area where the waxed paper sleeve is glued at the bottom. Some negatives (perhaps because they are made from different materials) show advanced reticulation of the emulsion as in the example below. Reticulation is the wrinkling of the film emulsion into a web like pattern sometimes caused by extreme temperature changes. As all the negatives are a mixture 2 1/4 square and 4" x 5" the quality is outstanding and here is an example from the envelope titled 'House of Secrets' - 1956 - some damage on the right hand side. Ship's officer Larry Ellis is asked by the CIA to help infiltrate a forgery ring in France as he is almost a double for a dead double-crossing gold courier who worked for the gang. 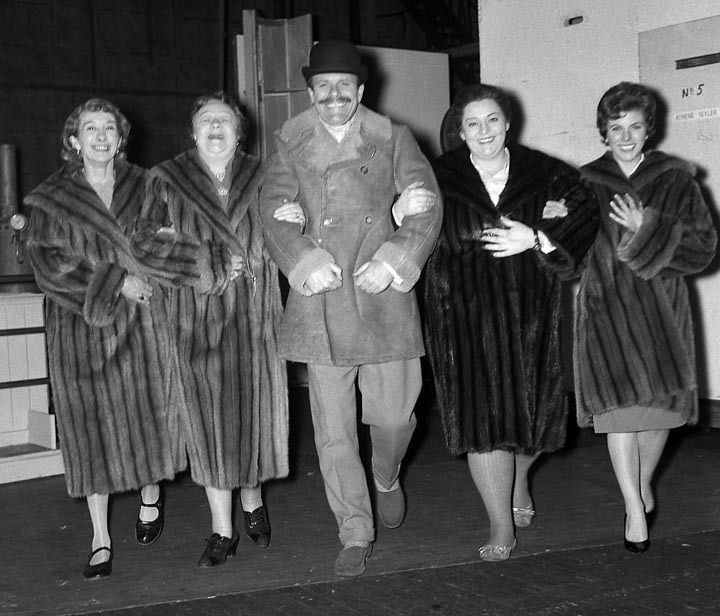 Make Mine Mink (1960) - Elspeth Duxbury, Athene Seyler, Terry Thomas, Hattie Jaques, Billie Whitelaw. Top of the Form (1953) - Some trouble with gambling forces con man Fortescue to hide out in a boys' school, posing as a professor. Value For Money (1955) with Leslie Phillips and Diana Dors - A young man from Yorkshire inherits a sizeable legacy from his millionaire father. 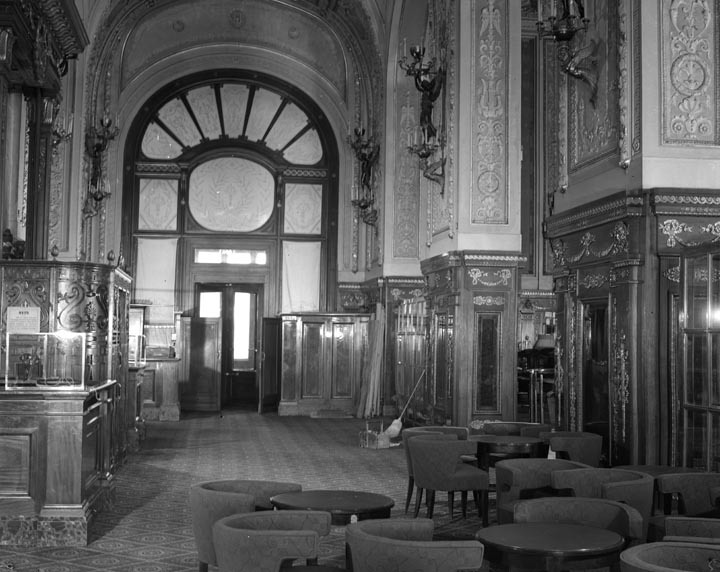 Encore (1951) - Monte Carlo Casino location. The film is made from three short stories by W. Somerset Maugham. 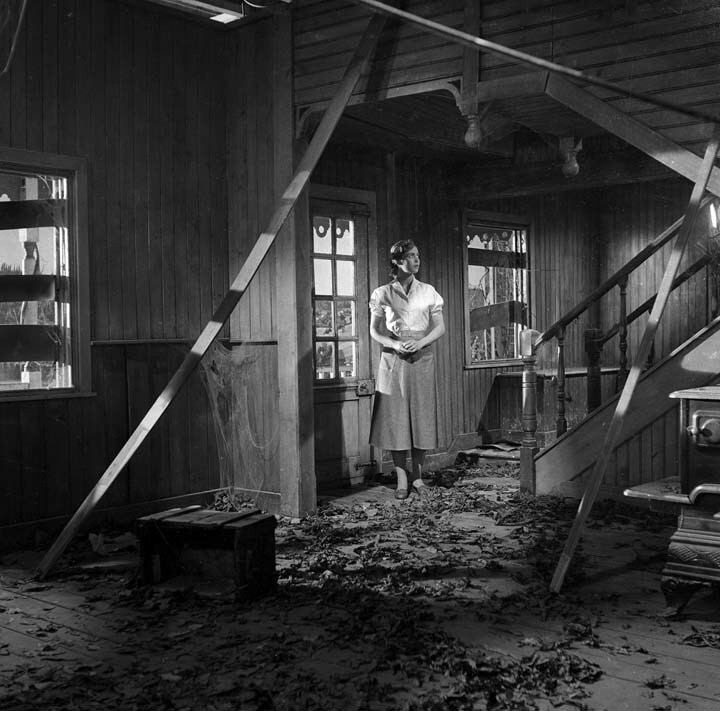 High Tide at Noon (1957) - Betta St. John waiting for something to happen. 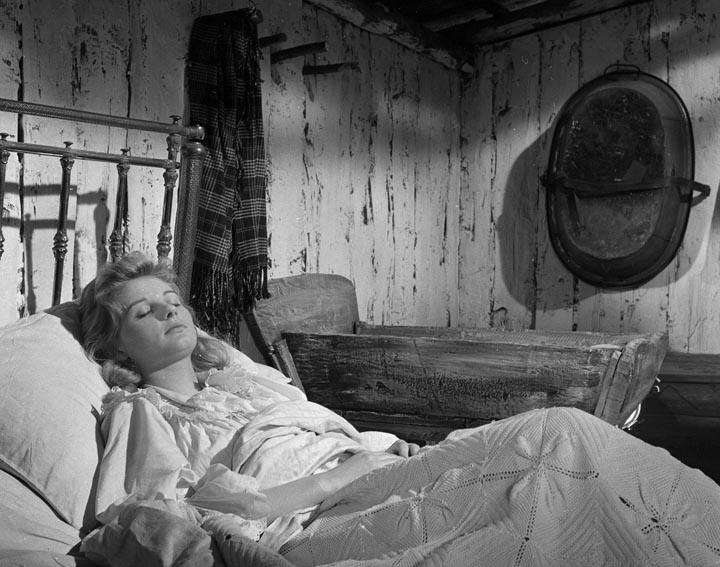 Robbery Under Arms (1957) - Jill Ireland. MANY of Britain's top players and technicians traveled half-way across the world to film this Australian classic of daring adventure in its authentic locales. The result is an outdoor film of rare sweep and power which stirringly and convincingly recreates the roaring pioneer days when life was lived close to Nature - and even closer to danger. In a superb cast, Peter Finch gives one of his strongest performances as Captain Starlight, the notorious robber whose most potent weapons were a polite phrase and a disarming smile. Miracle in Soho (1957) - John Gregson in mid foreground to the right. 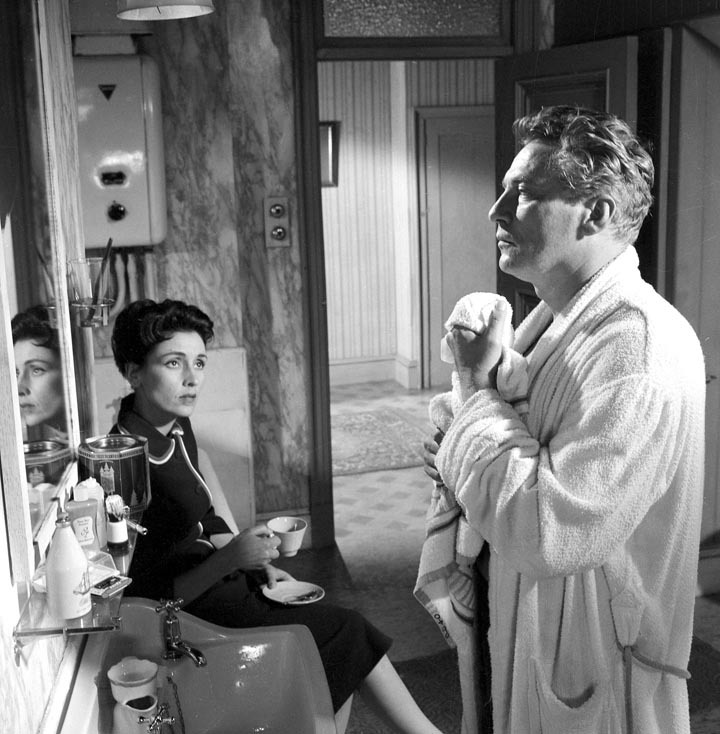 No Love For Johnnie (1961) - Rosalie Crutchley and Peter Finch. I have put together a few pages on some of the movie sets from this collection (quick links are at the top and bottom of each page) and below is a brief extract on that particular era of Pinewood which was written by Morris Bright in his excellent overview of the Studio's history. 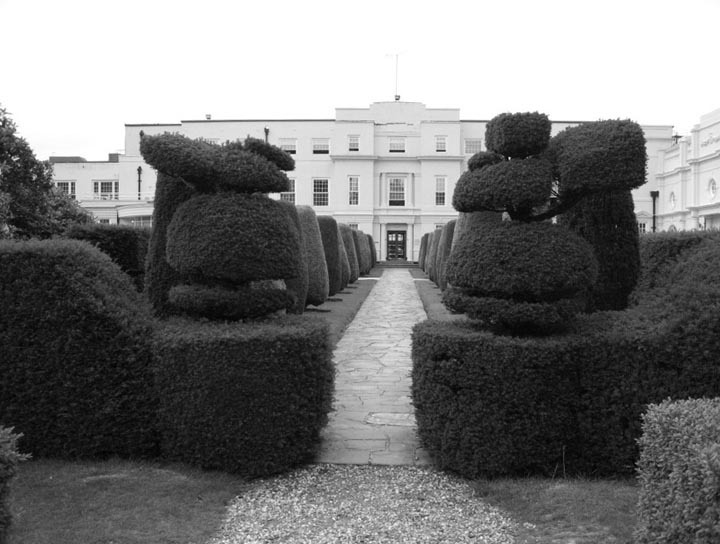 In 1937, Pinewood saw 24 films made within its Studios. 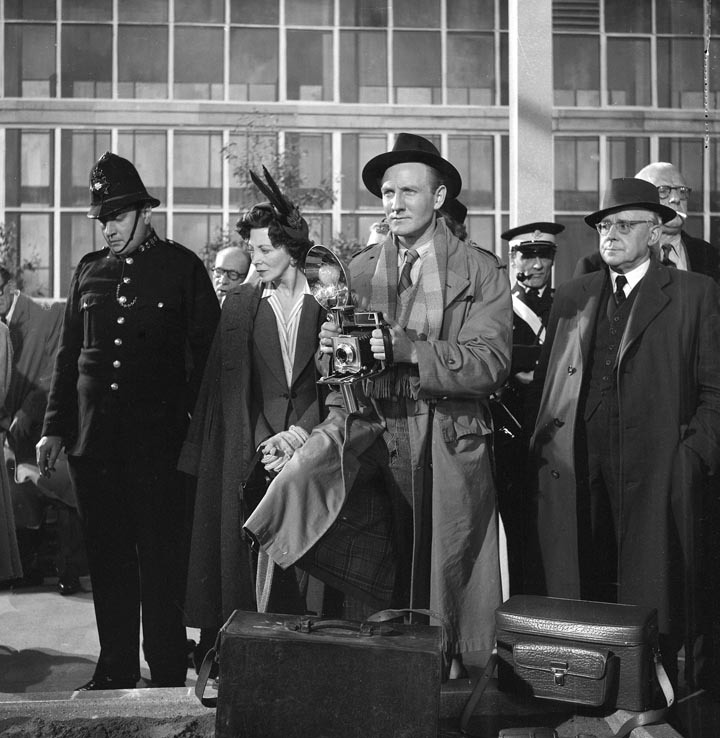 Several were quota quickies, which the studios’ management did not object to as they could be filmed in between other larger productions and so kept workers employed consistently throughout the year. 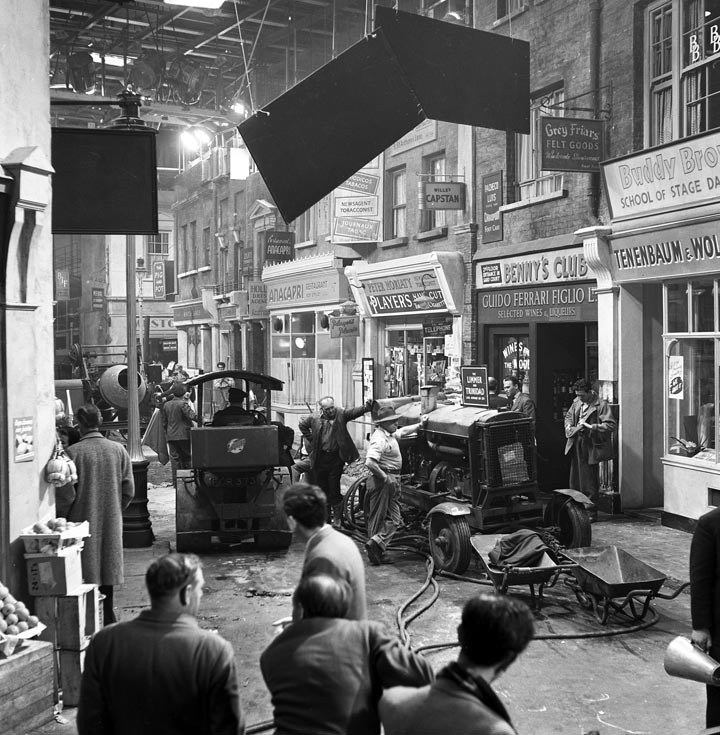 Busy with productions great and small, Pinewood became a home to directors and producers from all filming backgrounds. 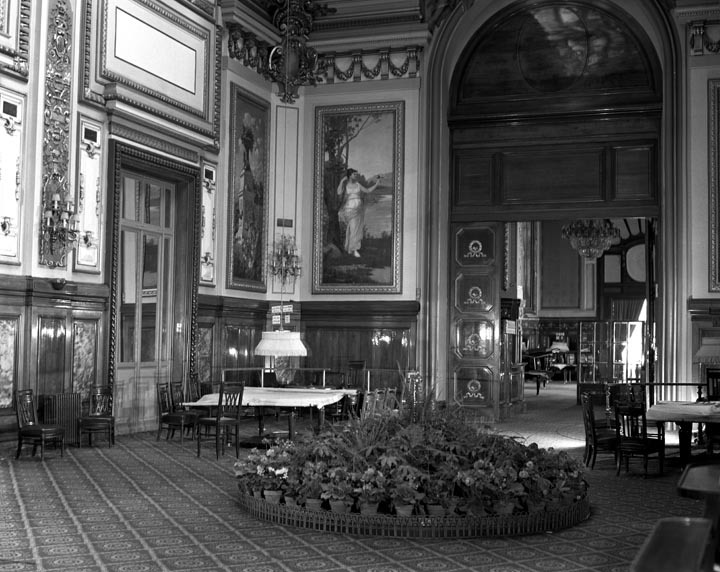 Pinewood’s lavish surroundings attracted the Americans. 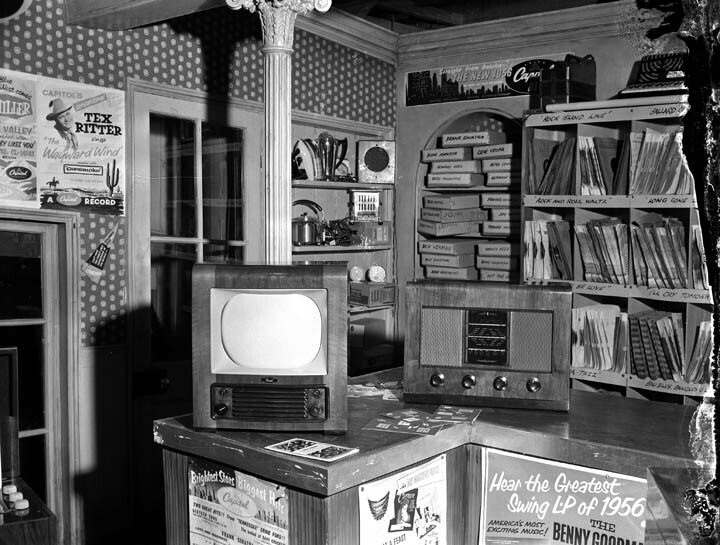 The Second World War saw the Studios requisitioned by the Government for storage. 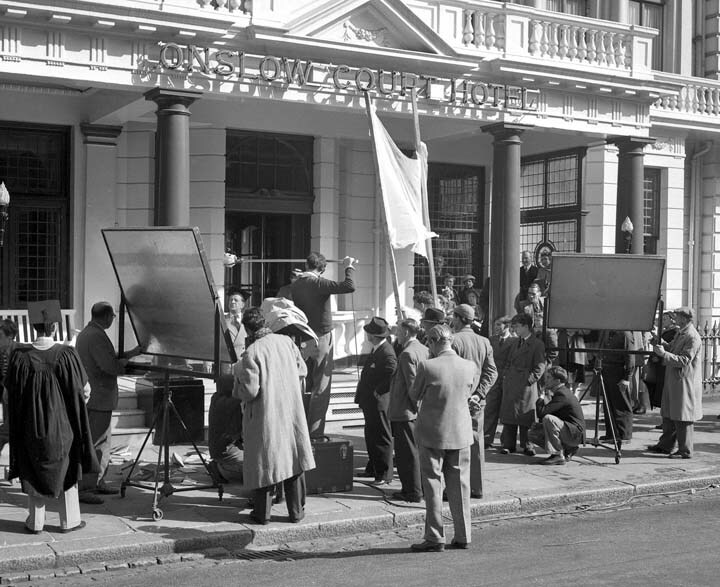 British film industry in general and a revitalised Pinewood in particular, which was now seeing large sums invested into the site to bring the studios up to post-war specifications.